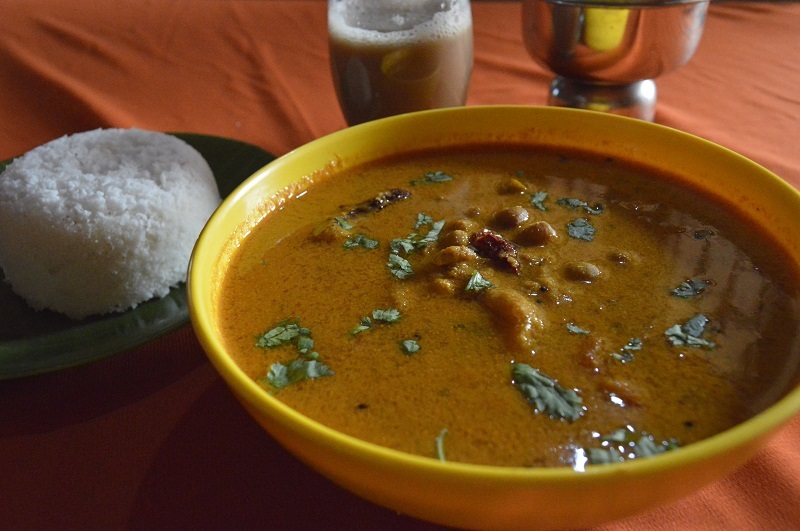 Kadala / black chana curry is the best side dish curry for idili, puttu, dosa etc. 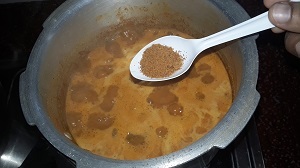 this is the simple method by making kadla curry. 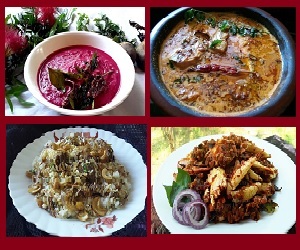 We can make kadala curry in different ways. I have this recipe from my mother; I like this curry very much. The making and the ingredients list is bellow. Please do try and send your feedbacks and enjoy cooking with yummy recipes. 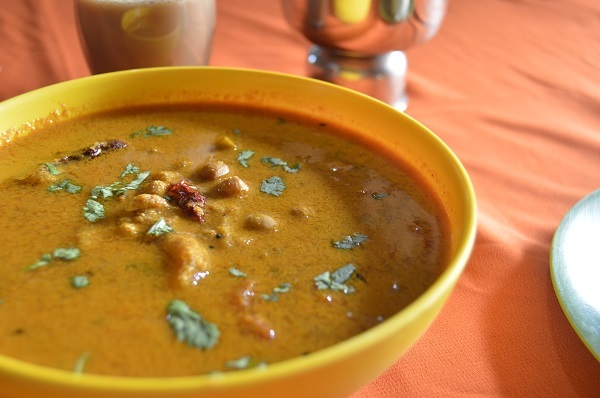 Soak kadala / black chana for about 8 hours or put it in a hot water for 2 hours. 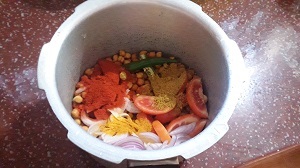 In a pressure cooker add soaked kadala, add sliced onions, tomato, green chili to taste, turmeric powder, red chili powder and coriander powder in a pressure cooker. 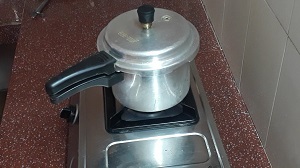 Pour water and cook it for 4 to 5 whistles in high flame. Remove from the stove and allow it to set the pressure. In this time we wants to make coconut paste, in a mixer jar add grated coconut,green chili, water and make it a fine paste. Keep it aside. Once the pressure settles open the lid and allow it to boil, add salt to taste. Add coconut paste, little more water (depending on the gravy) in to this and mix it well. Allow it to boil, cook it in low flame for again 4 minutes. 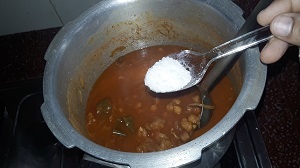 Now add ¼ teaspoon biriyani masala in it, this is optional. It gives you a nice flavor to the curry. Add coriander leaves in it and mix well. Remove it from the curry. 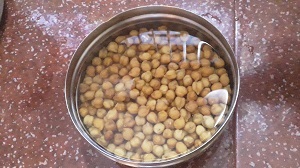 Heat oil in a small frying pan add mustard seeds and allow it to splutter. Then add curry leaves and dry red chili and just sauté it. Pour it in to the curry and mix well. 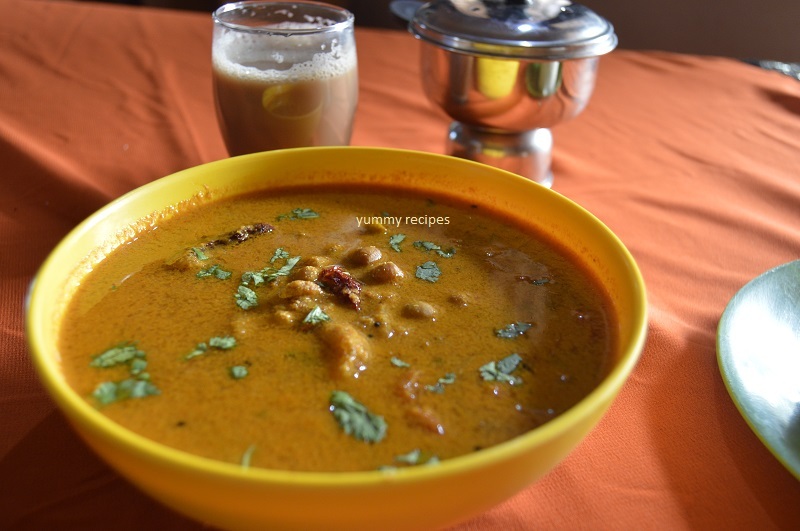 The tasty and simple kadala / black chana recipe is ready to use.